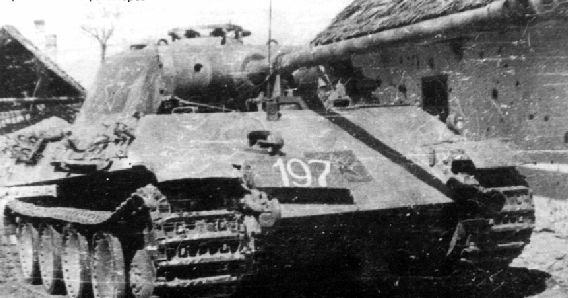 During the war, the Soviets captured large numbers of enemy armoured vehicles, mostly PzKpfw.III, PzKpfw.IV (Russian designation T-3 and T-4), PzKpfw38(t) (called Prague) and different self-propelled guns (called "Artshturm"). Some of them were pressed into temporary service because of their small caliber armament and lack of ammunition and spare parts, some were used for training. 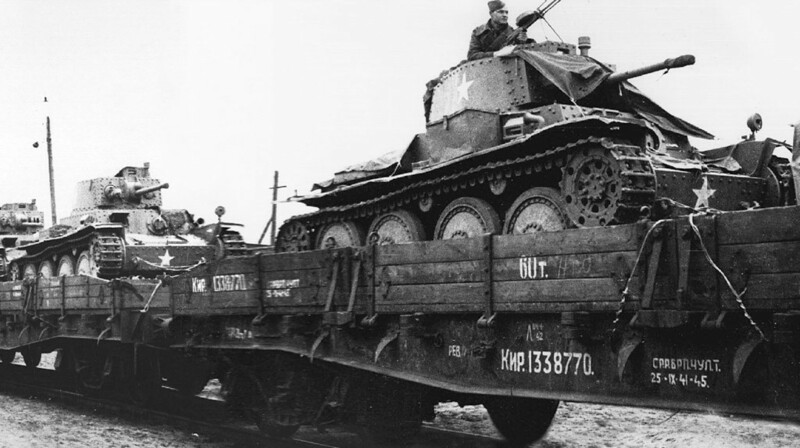 Sometimes captured tanks there were used in a different temporary units or as a separate tanks. 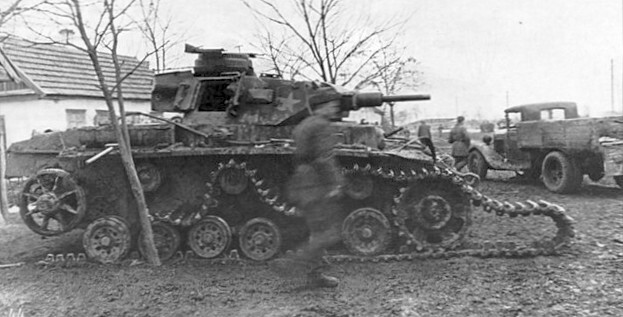 Diversion raids and recon operations were usual - in such cases the tanks carried original German insignias. But for a regular service the Soviet symbols or the red flag were applied to prevent friendly fire (note - the Soviet-made tanks usually carried unit/vehicle numbers only, or the tactical insignias and no any stars and so on, except the Guard's sign in the Guard's units). The Soviets liked to use T-3 as a command vehicle, because of their great comfort and an instruments (optic and radio). Pz.V Panther (T-5 Pantera) tanks were mostly used for anti-tank purposes. Also the Soviets used different halftracks and armoured cars. In USSR even worked some factories which repaired the broken captured tanks. 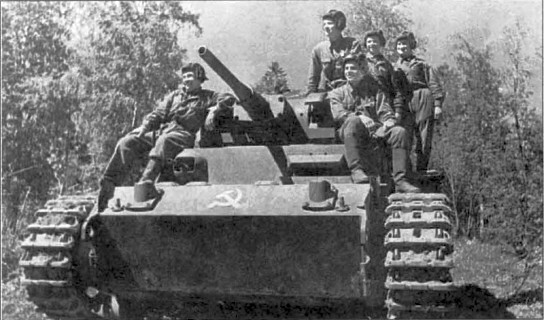 Sometimes these tanks were re-equiped with the Soviet engines or armament. Vehicles which were unuseful for Soviet army (for example PzBfwg and French tanks) were rebuld and/or rearmed. 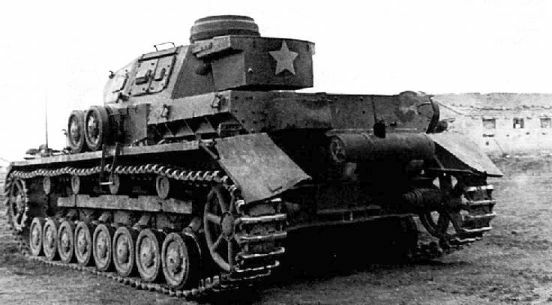 WW2 foto of captured Pz.IIIJ (T-3) medium tank. captured Pz.V Panther (T-5) tank in 1945. WWII photo of trophy Pz.38(t) light tanks (T-38) in RKKA, 1942. 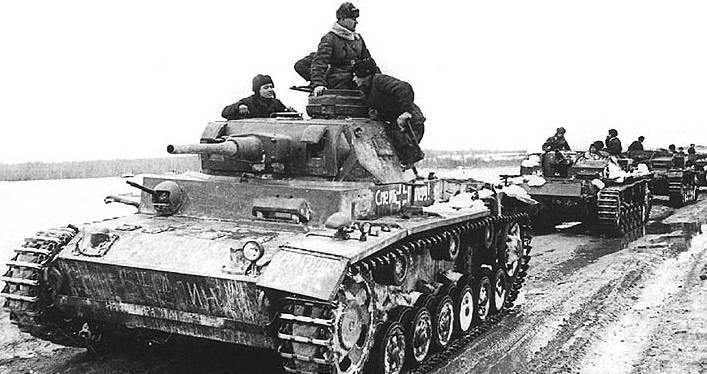 Soviet Pz.V Panthers (T-5) of 8th Guards tank corps in 1944, captured from 5th division SS Viking. Repairing Pz.III ausf.J, wartime picture of 1943. Trophy Pz.IVF1 (T-4) medium tank in 1942.